Our exclusive apartment Superior with about 80 m² and a large south-facing balcony offers a living experience of a special kind . The apartment has a wonderful balcony, with beautiful south facing views. 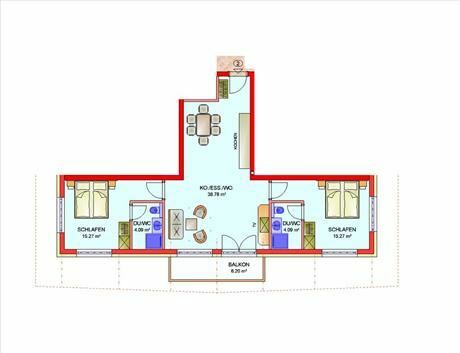 Guests will enjoy a spacious kitchen/lounge with an extendable couch (sofa-bed), a well equipped kitchen, two bedrooms and two bathrooms each with shower/toilet. The apartment Superior offers a special living experience with high vaulted ceilings, and creates for you and your family an exclusive home for wonderful holiday. You can expect a very well cared for apartment, lovingly furnished in traditional style with two bedrooms, two bathrooms, comfortable beds, flat screen TV, free Wi-Fi and all the comforts. 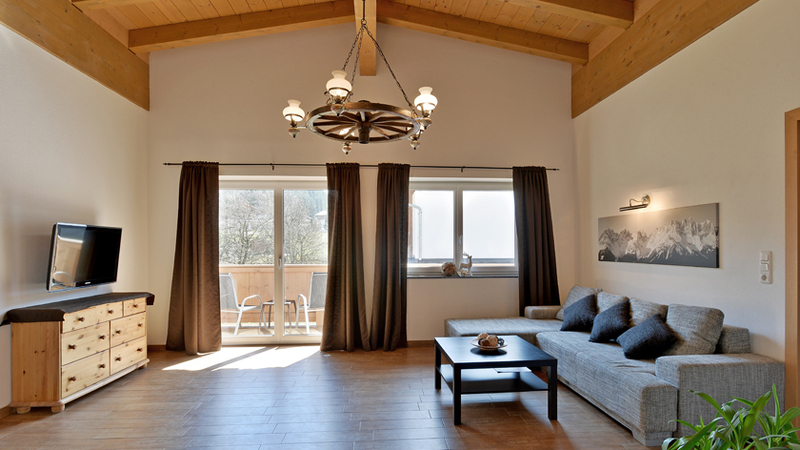 The modern Tyrolean styled apartment offers every comfort you can dream of to make your holiday an unforgettable experience. 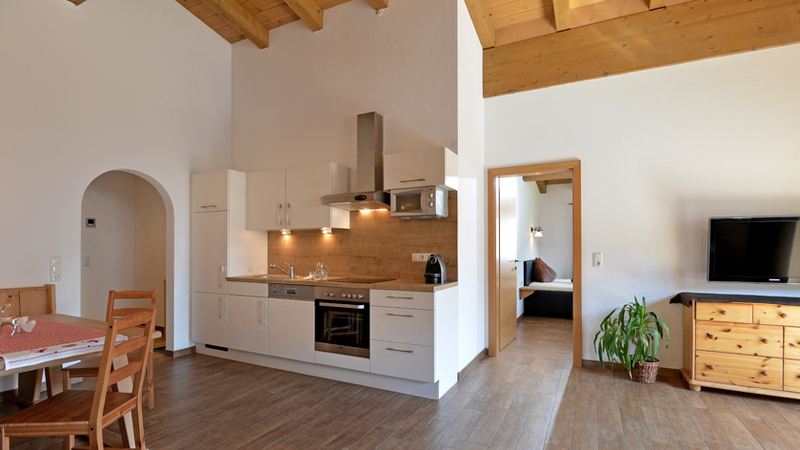 The open ceilings with wooden beams provide this temporary home of yours with a charming and very comfortable ambiance for you and your family. You will love it! The kitchen is equipped with a glass-ceramic hob, a dishwasher, a fridge with freezer compartment, an oven and a microwave. The couch is very big and comfortable and can also be extended into a bed for 2 people to sleep on. 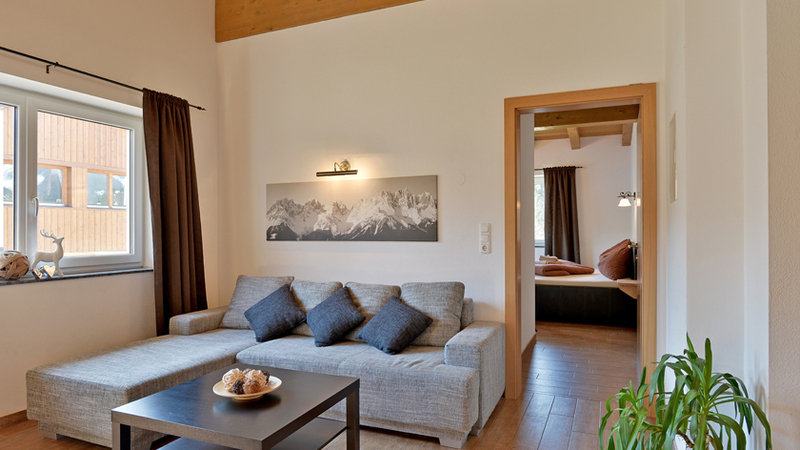 Moreover the apartment house Tanja can offer you free Wi-Fi, covered car parks and a heated room for your ski equipment. If you wish you can order freshly baked bread for the morning and on request we can also provide you with cribs for children. 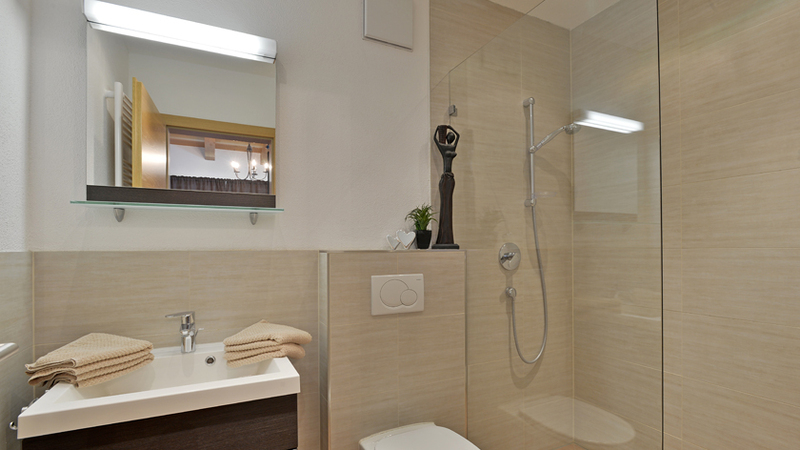 You shall not miss a single thing during your stay with us. The apartment Superior is perfect for those who love sun. The apartment has a wonderful balcony with south facing views.